From the devastating ashes of this fateful moment rose an artist, an icon and a global inspiration for decades to come. On September 17, 1925 a striking, 18-year-old girl poised on the brink of womanhood opened her dark eyes. She stretched her slim arms and rubbed her furrowed brow. Outside, the fierce Mexican sun was already high in the sky and her whitewashed room was drenched in light. She gasped and threw back the covers, Alejandro will be waiting for her. Stepping out of bed carefully onto her weak right leg, she hurried to the washstand and splashed her face with water. Droplets clung to the downy hair between her eyebrows and above the bow of her determined mouth as she peered into the mirror. She wrestled a long white dress over her head and down around her narrow waist. Wincing she pulled her knotted hair into plaits, threaded them with a bright blue ribbon and, grabbing a string of large wooden beads for her long neck, rushed from the room. Sweat began to prickle at her hairline as she hurried to the market. Catching her breath, she cast her eyes around. She spotted Alejandro leaning against a sprawling jacaranda tree. She crept up behind him and covered his eyes with her hands. Without turning round he held up a small bundle wrapped in newspaper. She took it, laughing, and pulled out a colourful, wooden toy. She pressed her lips against his and, seeing their bus, they ran to catch it. Clasped safely between Alejandro’s strong arms, they bumped along the uneven streets of leafy Coyoacán. A moment later she was flung violently forward and then backwards and, blinded by searing pain, her world went black. The injuries that Frida Kahlo suffered as her bus collided with a passing tram would create the terrible crucible in which her artistic talent voraciously grew. 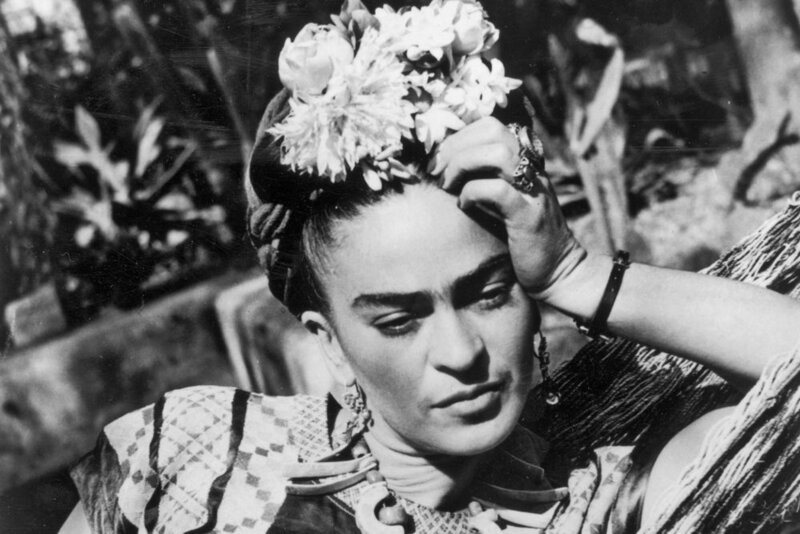 Forced to give up her medical studies and confined to her bed, a bruised and bandaged Frida stared back from the mirror that hung above her. With herself as her only model, all of her pain, joy, memories and Mexican feeling poured out onto her canvas. From the devastating ashes of this fateful moment rose an artist, an icon and a global inspiration for decades to come. As she wrote in a letter to her young love, Alejandro, after the accident: “life begins tomorrow”, no one could have known what a rare and momentous tomorrow that would be.